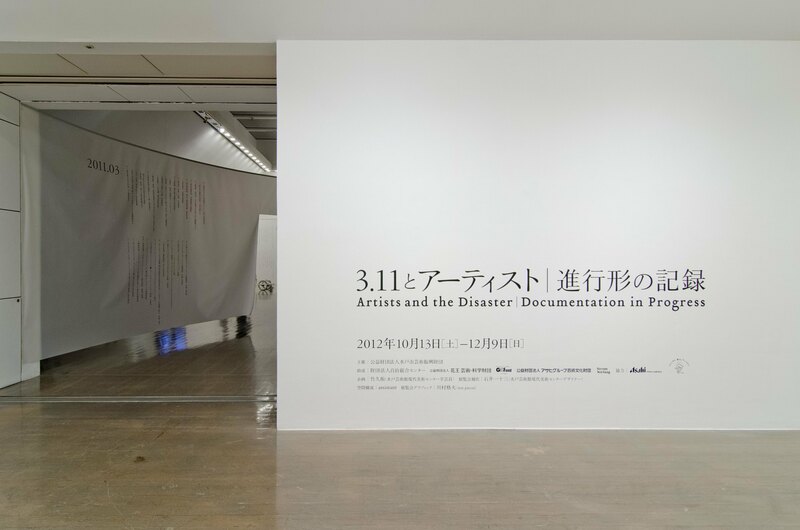 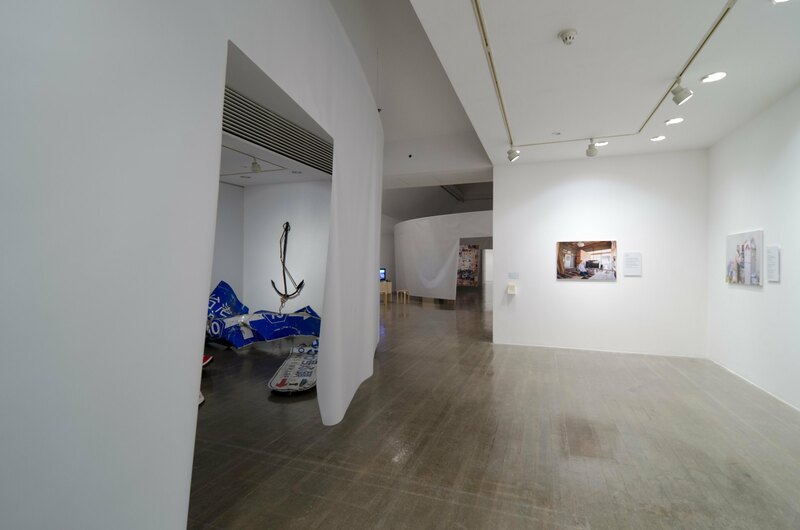 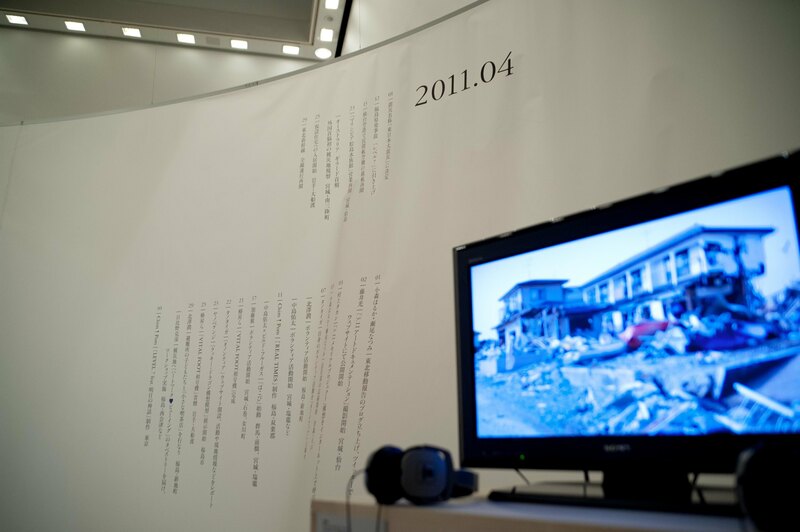 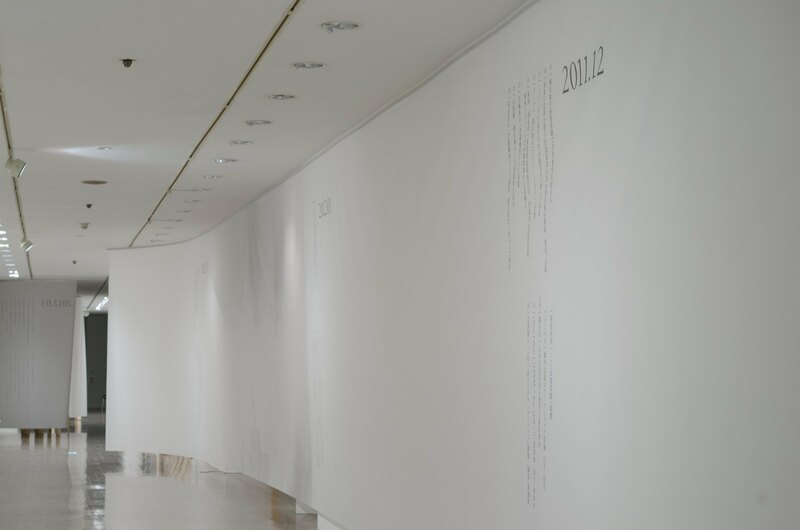 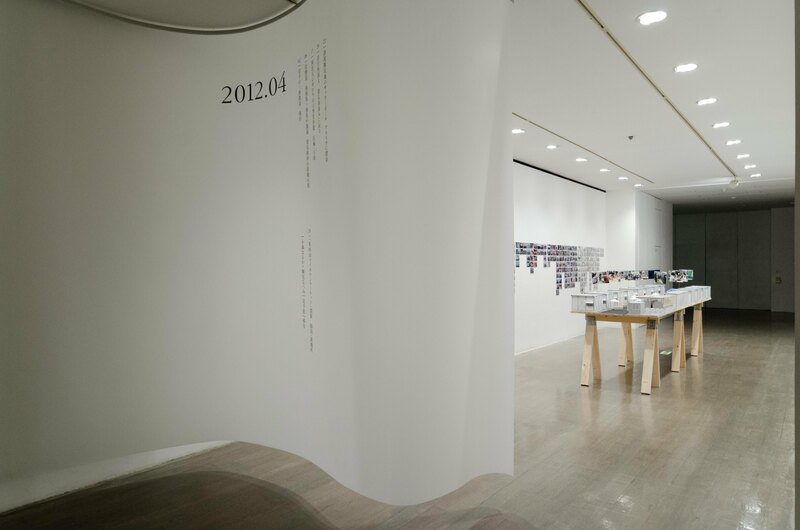 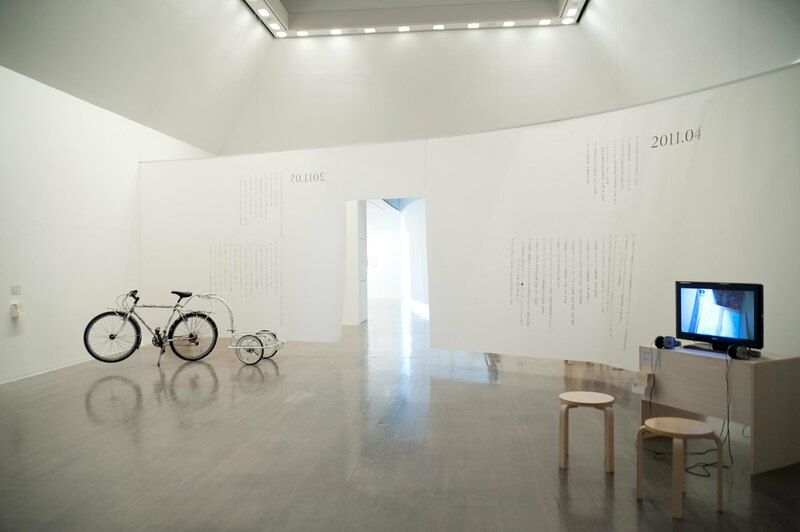 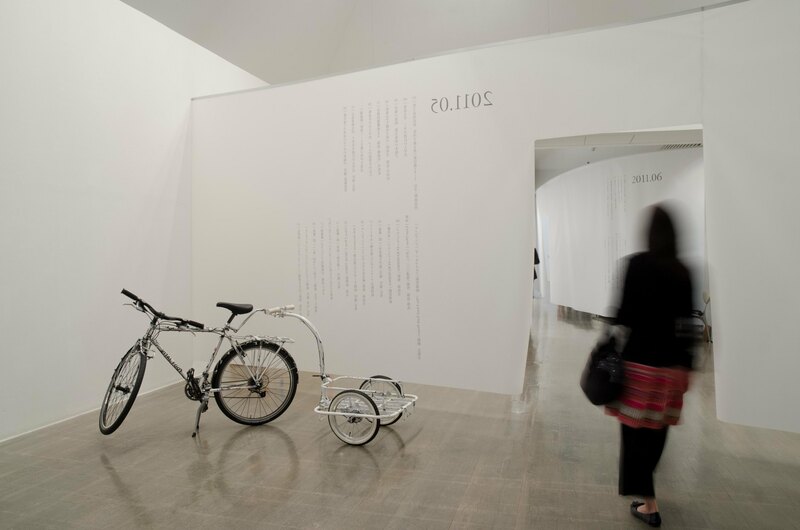 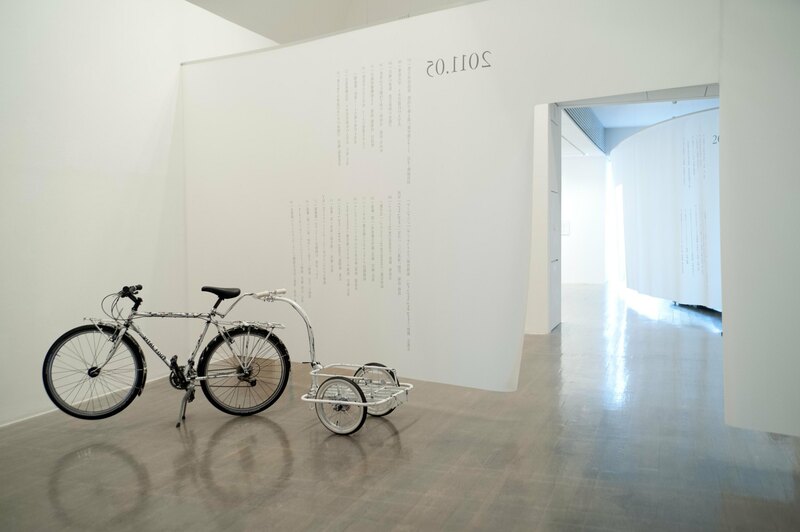 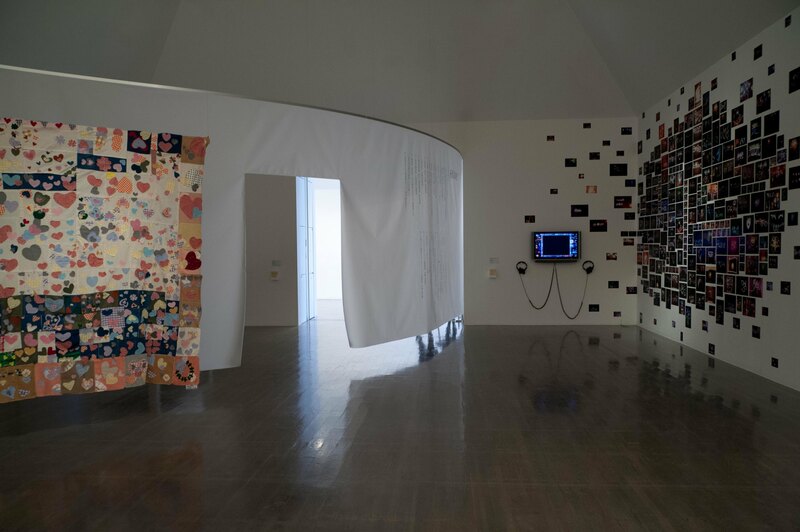 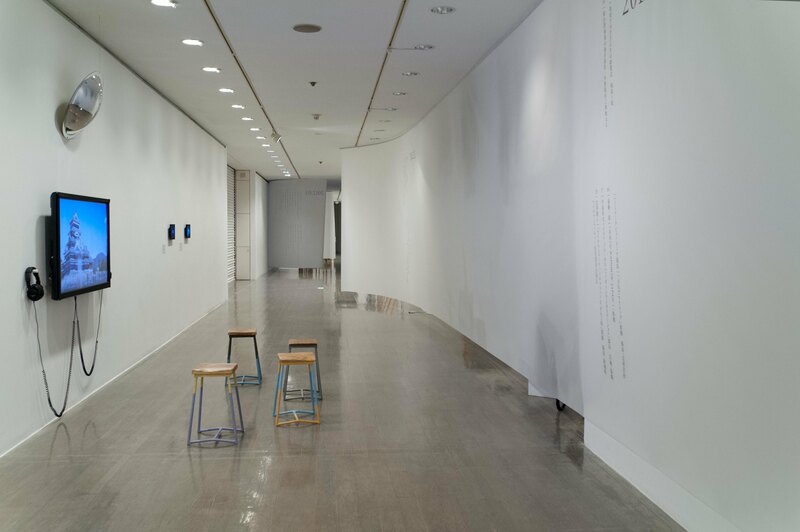 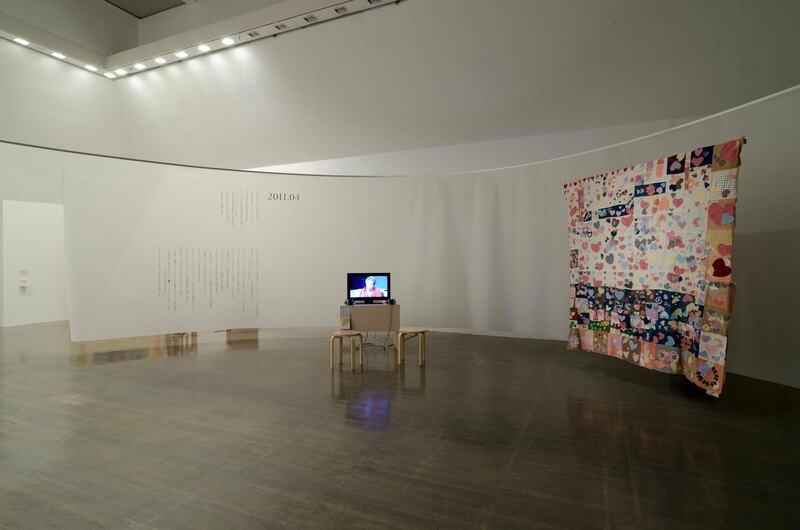 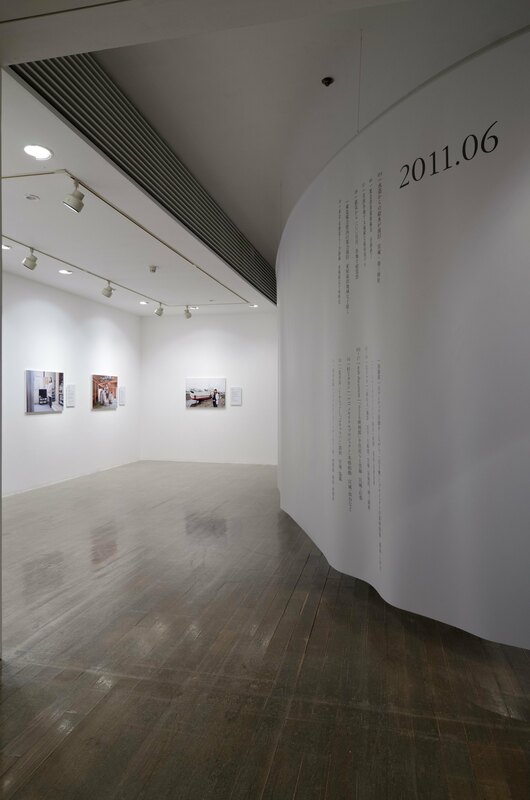 The exhibition design was developed responding to the curators’ concept to create an experience of transitions since The Great East Japan Earthquake struck on March 11, 2011, through the actions and artworks by 23 artists after the event tracing the ways in which their work unfolded between March 2011 and the present in chronological sequence. 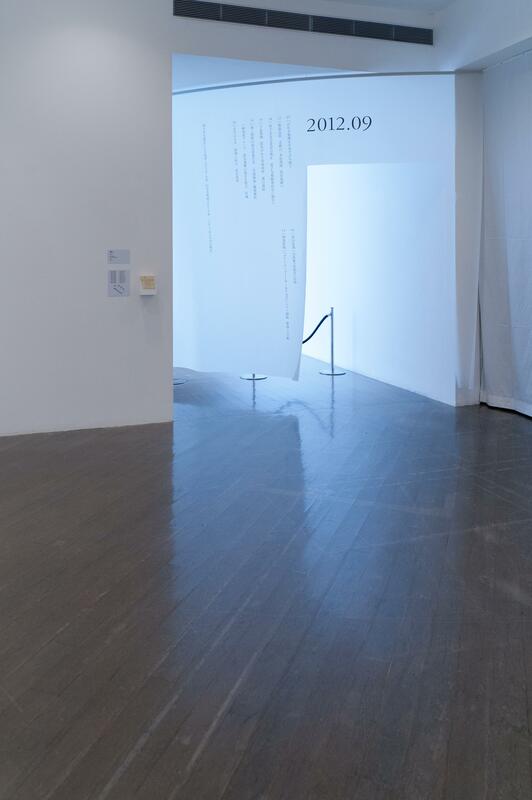 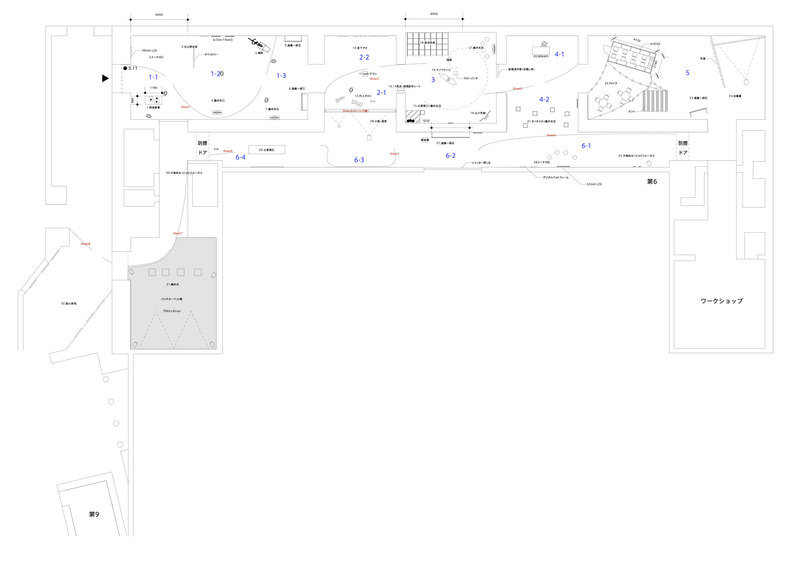 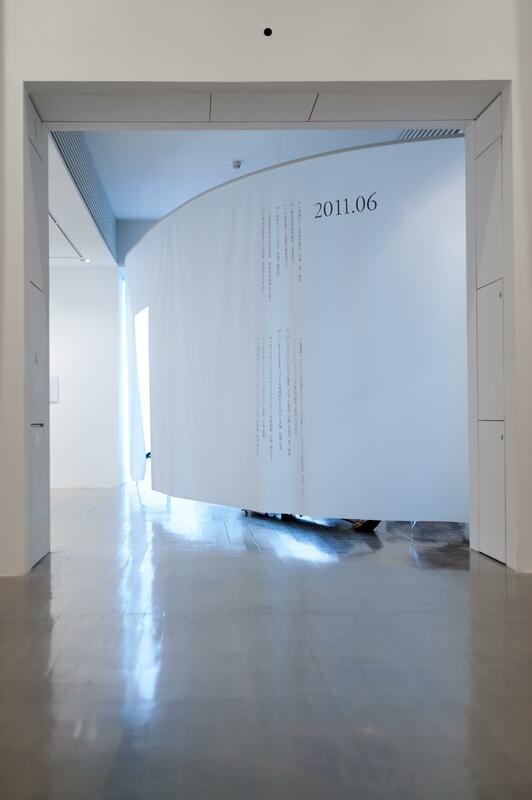 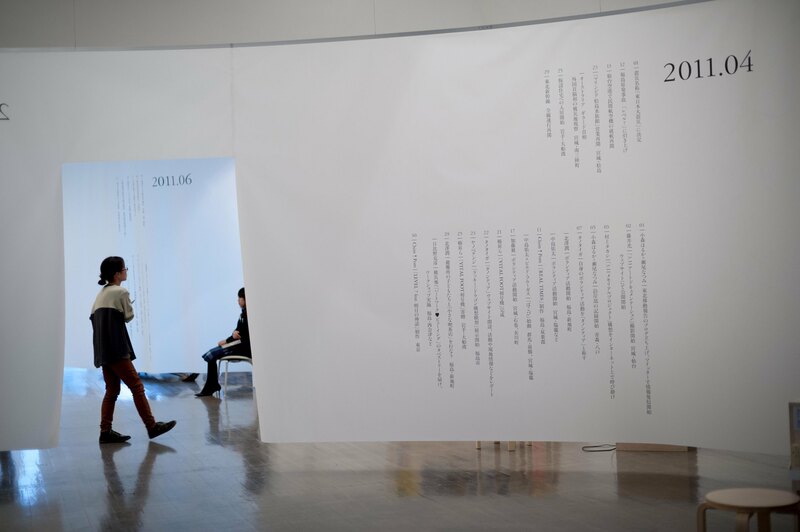 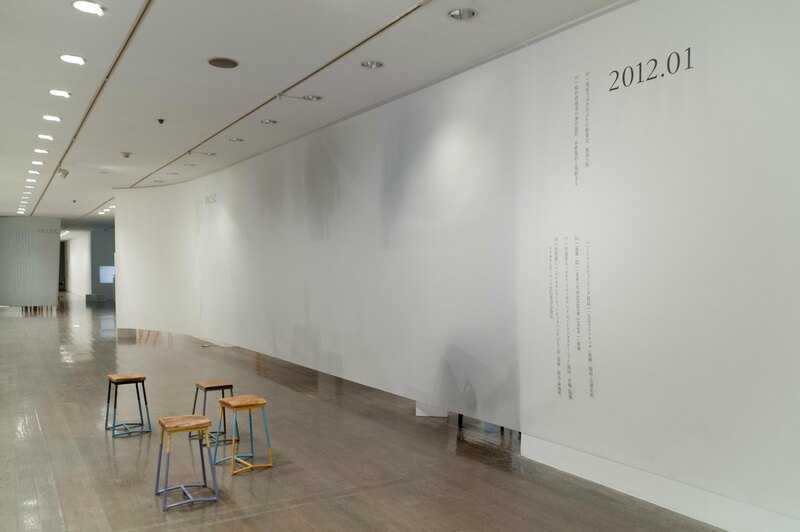 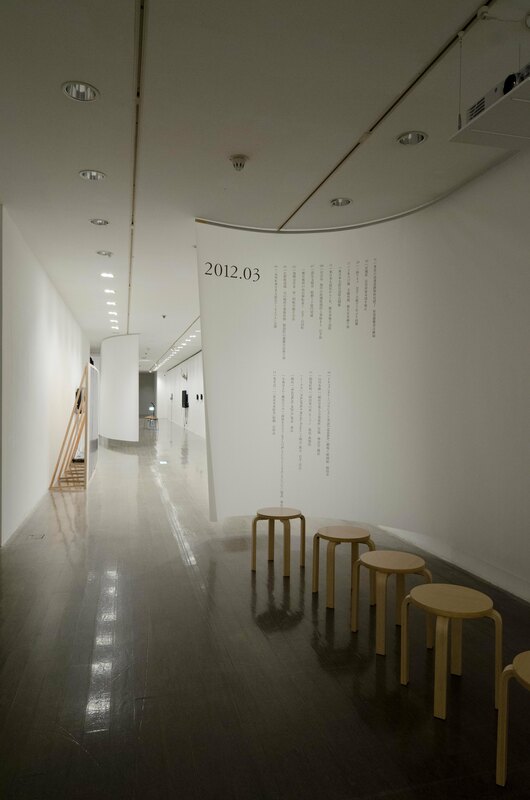 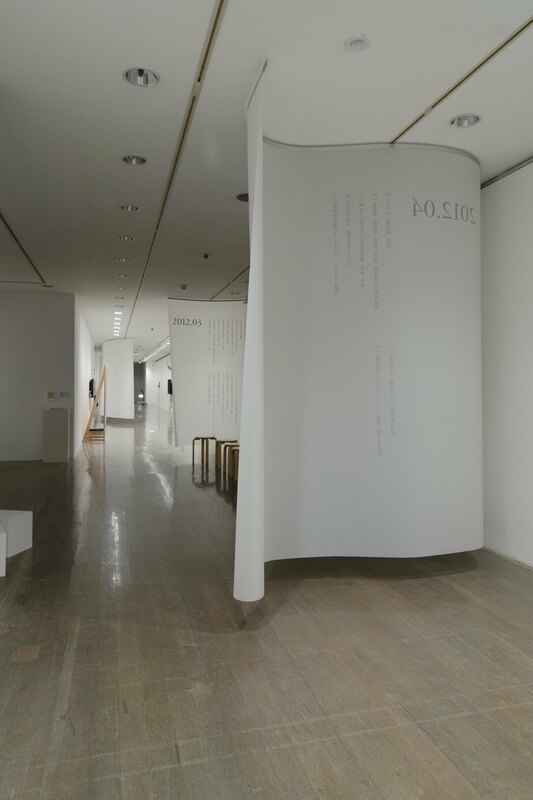 The exhibition design served as this chronological timeline in three-dimensional manner. 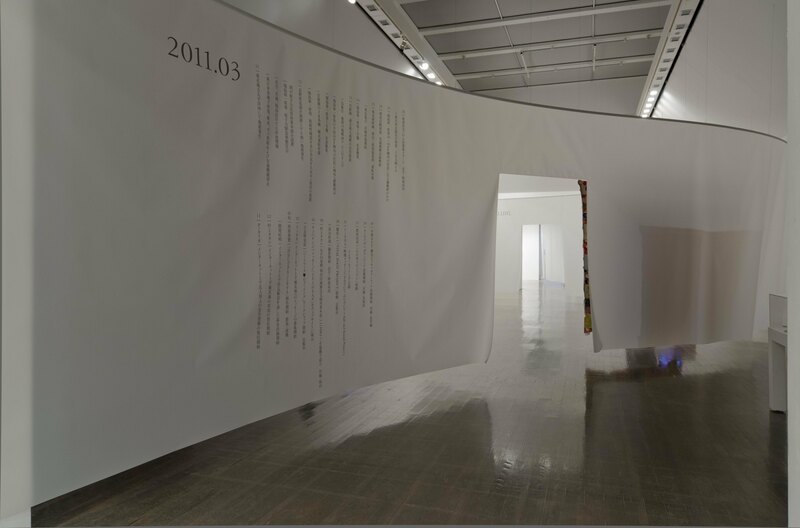 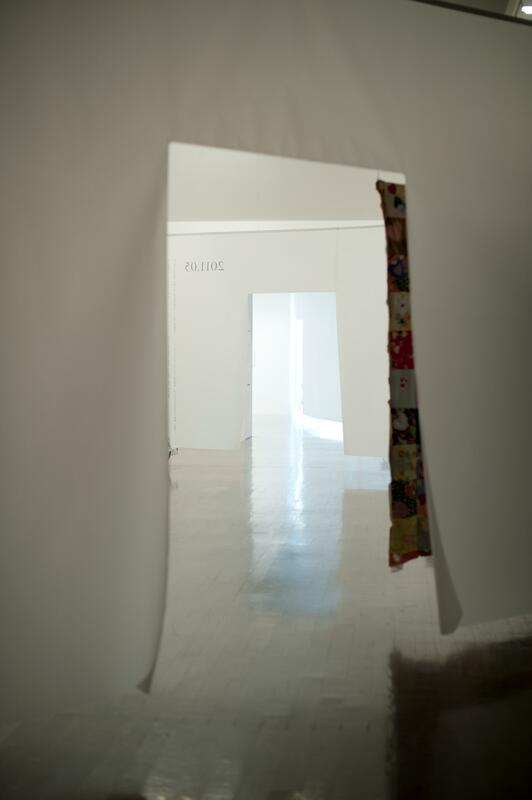 With a use of tracing paper to gently navigate the route and connect the works without directly interfering each other, the chronological journey was made available in the stream of experiences.